Whyte is creative and unique WordPress theme focused on delivering eye-catching design and smooth experience accross all devices, while enabling authors to create rich and vibrant content with ease. It features one-of-a-kind layout system and selection of elements, typographic, stylistic and blog options. We have carefully imagined and created every detail of the theme in order to inspire and empower authors to effortlessly fuse all this into vivid content. There are two things that bring us outmost pride – delivering product of highest quality and having satisfied clients; If you ever need help or any advice, just hit that Support button – we care. Well documented with comprehensive guides, faq, advices, tips & tricks. This entry was posted in Which Open Source Blog on March 31, 2017 by Administrator. We are happy to help our customers with theme related support, just submit a ticket to the support forum and our highly trained personnel will answer each question as quickly as possible. Note, preview images are not included! We are introducing Black & White Labels Bootstrap Templates. As you might have noticed, the name says “templates”, as in multiple, and not one. That is no accident, because we are offering you 2 templates instead of one: the black version and the white version. How can you view both of them? This is a multipurpose template that can be used for any kind of work, be it corporate or a freelancer, design agency or a blog, portfolio or a magazine, your imagination is the limit. It has six pages in the main menu, which is located at the top. Home, Sections and Blog have dropdown menus for Black & white style, design department, pricelist and other features and blog post №, respectively. It has a working gallery with categories, amount of which you can manage on your own and a working contact form to make communication with your potential customers and visitors easier. This template has a simple, clear and a minimalistic design, which seems to be all the rage nowadays. These exact design choices are what makes this template perfect for everyone. We wanted to create a website template that would suit most people, no matter what theme it was, what design elements it had and what colors it had, which is exactly why we created 2 versions – black and White as mentioned above. NOTE: All of the images that you see on the demo preview page are NOT included in the template package, they are for demonstration purposes only. Finaco is a professional, modern crafted PSD template which can be used for Finance, business, multipurpose and related any business website. Here you will get 22 layered PSD with easily customizbale layer with pixel perfect design With 2 different Home version. Umbrella One Page Personal Portfolio Template is high quality creative Template with great style and clean code. Umbrella can be used for many purposes starting from minimal portfolios, agencies, freelancers and much more. Template is created and tested in all devices and works perfectly without a single issue.This template is very well commented and also have proper help documentation too. IF YOU LIKE THIS WORK, DON’T FORGET TO RATE US 5 STAR AND GIVE YOUR FEEDBACK FOR BETTER UPDATE . Mun Cut Personal Portfolio HTML Template is a uniquely HTML template designed with clean hand coding, modern and professional Personal Portfolio HTML Template. HTML files is perfectly organized, so you can easily customize everything you need. The HTML is designed on the grid and can be easily converted into responsive HTML. you can create great website layout based on Twitter Bootstrap or Grid 1170px. Support Response within 1 Day! NB: Demo images are not included into the main file. Aerin is a very stylish, elegant and powerful multipurpose WordPress blog theme perfect for any personal blog. Theme has an unique design with a lot of options, that can help customizing you blog, changing fonts, colors, layouts, post views and more. Aerin’s stunning slider and creative promo boxes offer a unique visual experience to showcase your content in different ways with responsive layouts optimized for all devices. Clean, pure and fashion Aerin design can be easily installed to start your personal or magazine blog within one click. Unlimited blog styles and layout combinations (different header styles, 7 blog listing layouts, 10+ Featured Posts Slider layouts, 650+ fonts), Unlimited color themes (10 predefined, unlimited to create yourself), dozens of configurable options – and all of this you can manage with 1 click of your mouse in our unique user friendly Aerin Control Panel. Theme compatible with WordPress 4.x, WooCommerce and WPML. 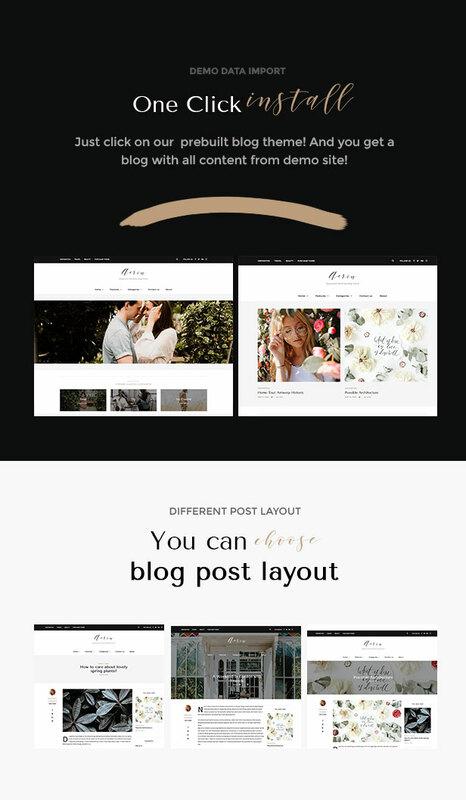 Aerin theme is a extremely fast (90/100 Google Page Speed Score), aesthetic, clean, modern and very flexible WordPress Blogging Theme designed especially for bloggers. Theme compatible with WordPress 4.x, WooCommerce and WPML. And we make sure it will work with any future WordPress releases. TheMAG is highly customizable, 100% responsive Drupal theme with great features, built to easily make content rich news websites. The theme can be used for Tech, Fashion, Sport magazines, Health and Fitness blogs and General magazine Websitehttp://pinkdexo.com/themag/themag-features.jpgs. Kuler is a multi / one page template for agency, business and hosting service providers.It is modern and creative. It has unique and clean design. Enjoy the live demo .